“Wonderful things can happen in two weeks.” That’s what Eurie Mitchell believes, as she and her three friends board the train for Chautauqua, New York and the Christian retreat camp in the woods that will be their home for the next fourteen days. Eurie thinks the experience will be a lot of fun with a bit of religion thrown in . . . perhaps. Little does she know that a summer at Chautauqua will transform her life and the lives of her three friends in ways they never imagined. As the eldest daughter of a trusted but poor physician, Eurie’s life is full of responsibilities so she looks for fun where she can find it. And she doesn’t think there’s any fun to be had listening to a bunch of sermons. The daughter of a judge, Ruth Erskine lives like American royalty in a mansion where grandeur is the norm. Her life is filled with elegant yet tasteful pursuits, but her stay at Chautauqua has her questioning how important wealth and social standing really are. Independent Marion Wilbur is alone in the world except for her friends. She hopes her summer at Chautauqua will result in a little extra income but she doubts the experience will touch her oh-so-logical soul. Sweet, petted, Flossy Shipley has no role in life except to be loved and cherished by her wealthy, doting parents. No one expects her to be anything but a beautiful ornament and no one is more surprised than she is when Flossy finds purpose and strength of character at Chautauqua. Four friends. Four very different young women who share secrets, faith and friendship during the summer of 1875. The summer is over and the Chautauqua Girls return home. Together, they face the challenges and rewards of living the Christian life. As their lives are transformed by their unusual friendship and their ever-increasing Christian faith, the Chautauqua Girls continue their Christian journey together. 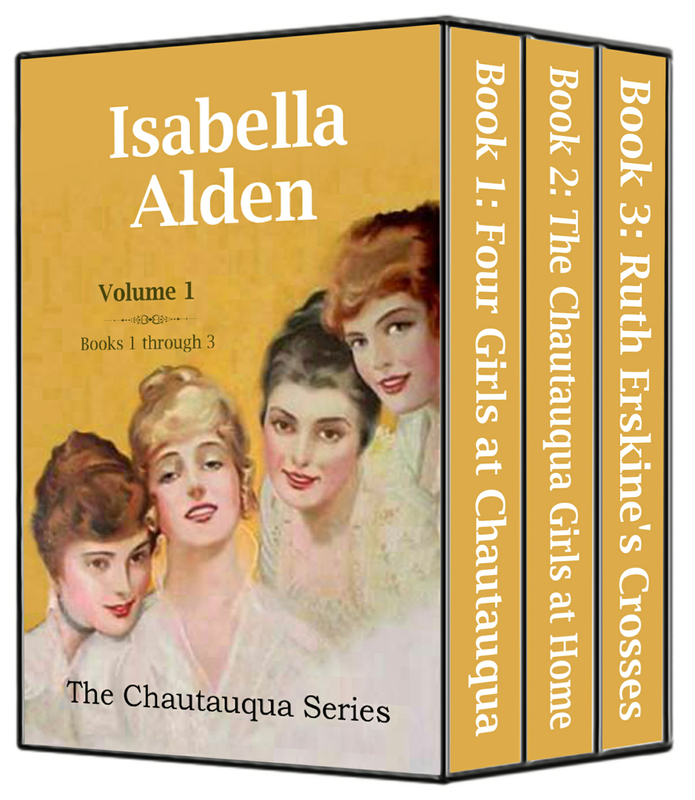 The Chautauqua Girls series continues as Ruth Erskine finally meets the step-mother and half-sister her father kept hidden from her for so many years. Though she does her best to welcome them into her home, she’s mortified by her step-mother’s behavior and embarrassed to introduce a half-sister to society. Even worse, she’s no longer certain she should be mistress of the family mansion, now that there’s a new Mrs. Judge Erskine to take over running the household. Feeling unhappy and resentful, Ruth relies on the support of her friends, Flossy, Marion and Eurie, and attracts the attention of her father’s young, handsome colleague, Judge Burnham. But when tragedy strikes not once but twice, and Ruth faces the possibility of losing what she holds most dear, she’ll find strength from an unexpected source, and a soul-awakening understanding of God’s promise of peace and rest to those who believe in Him.